If you’ve ever seen the movie Fern Gully, this is the real-life location of that movie. It’s truly majestic! You’re surrounded by redwoods and the most immaculate landscaping you’ll likely ever see! It’s truly perfection! Complete with a coy pond, a barn, a small gingerbread house and train to transport your guest between locations! 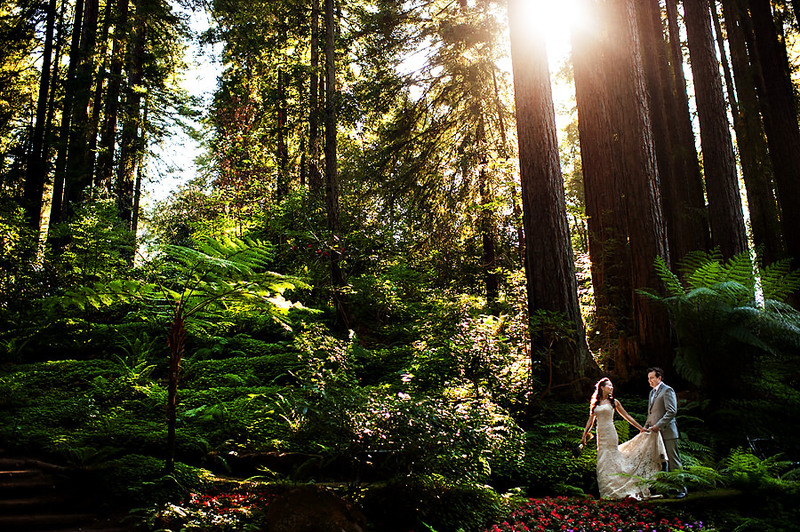 This is one of the most incredible venues we’ve ever seen and it’s right in Santa Cruz, California!